So, You Want To Open A TpT Store? Something I get asked a lot is, “I want to start a TeachersPayTeachers.com store, but where do I start?” There’s a lot that I’ve learned since starting my store in July of 2012 (and a lot of mistakes were made along the way!). I have decided to compile the most helpful resources I have found in one spot to help save some possible new sellers time and frustration. 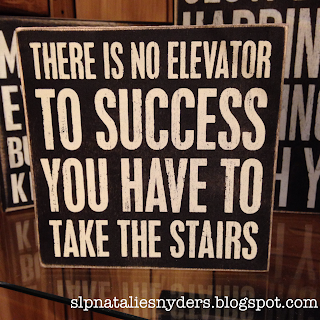 One note – creating materials and running a store is a lot more work and takes a lot more time than you think it will! For my products, I have spent anywhere between 3 and 80 hours in the creation process. First, you need to decide on a name for your store. Do you want to use your own name, or come up with a store name? Before making the decision, please make sure to google and search TpT for any possible names you come up with. There are a lot of stores and blogs out there, and you don’t want to unintentionally choose something identical or too similar to a name already in use. That will cause major brand confusion – not to mention it is very rude to the person who used the name first. Ask friends and family about the name you have chosen before committing to it. There may be negative connotations or associations that did not occur to you, but may turn off some buyers. Try to avoid being too specific or narrow in any name you choose. I’ve seen many sellers start their stores or blogs with names like, “Third Grade with Mrs. Smith,” only to be moved grade levels a year later. Educate yourself about copyright and trademark law. I really can’t stress this enough! What you are used to doing in your own classroom or therapy room is one thing, but you can’t just post everything you’ve made as is without running into possible copyright or trademark violations. Check out this Copyright 101 post that I wrote. Laurah J has an excellent resource in her store about copyright and trademark. Learn how to create resources for TpT. Jenna Rayburn has a great tutorial on her blog. Erica Bohrer also has an excellent tutorial. I highly recommend Powerpoint for most product creation. There may be a bit of a learning curve if you are not used to it, but it is much more graphics-friendly and much easier to copy and paste similar pages than Word. Attractive cover images and thumbnails are a must. Potential buyers will never even click on your product to check it out further if it doesn’t look attractive and well made. Don’t rely on the automatic thumbnail generator on TpT – make your own in a separate Powerpoint file. Tip: Make these slides square, and “save as” individual JPGs. Check out this tutorial on product covers. Make sure your copyright information (ex: c 2015, Natalie Snyders) is on every page of every product you make. It can be small and in gray print, but it is important that buyers can find their way back to you. This will also offer you some protection if someone posts one of your items online without your permission (yes, this sadly does happen). Have someone else (preferably in your field) that you trust proofread and edit your products before you post them. This will help catch typos, spelling errors, and formatting issues before you post items. Decide what kind of resources you want to post. Don’t copy what others already have posted, whether another seller or a commercial company (such as Super Duper or Linguisystems). In order to stand out and succeed as a seller, you need to have original resources that fit a need for buyers. Consider what resources are already available. For example, there are literally hundreds of articulation cards out there. Don’t waste your valuable time working on something that has so much competition unless you feel that you have a unique way to approach it. Have something that you were forced to make for your students because you couldn’t buy it anywhere? That is a great place to start! Find some clip art to help dress up your resources. TpT itself is a great place to search. There are many clipart freebies available to help when you are starting out and don’t have much to invest. Many sellers offer reasonably priced bundles and template sets that are perfect for new sellers, especially for covers and thumbnails. Here are a few more options. If you are purchasing from a seller NOT on TpT, you will need to carefully read their terms and conditions (even on free downloads). Any clipart you download to use MUST allow commercial use. A few sellers (especially on Etsy) may have limits on how many times their clipart can be used before an extended license must be purchased – personally, I find that much too complicated to keep track of, and avoid buying from those sellers. Consider a commercial subscription to a site like Smarty Symbols for “inside” product images. This is great for when you need LOTS of stimulus pictures, such as when you are making an articulation product with pictures. 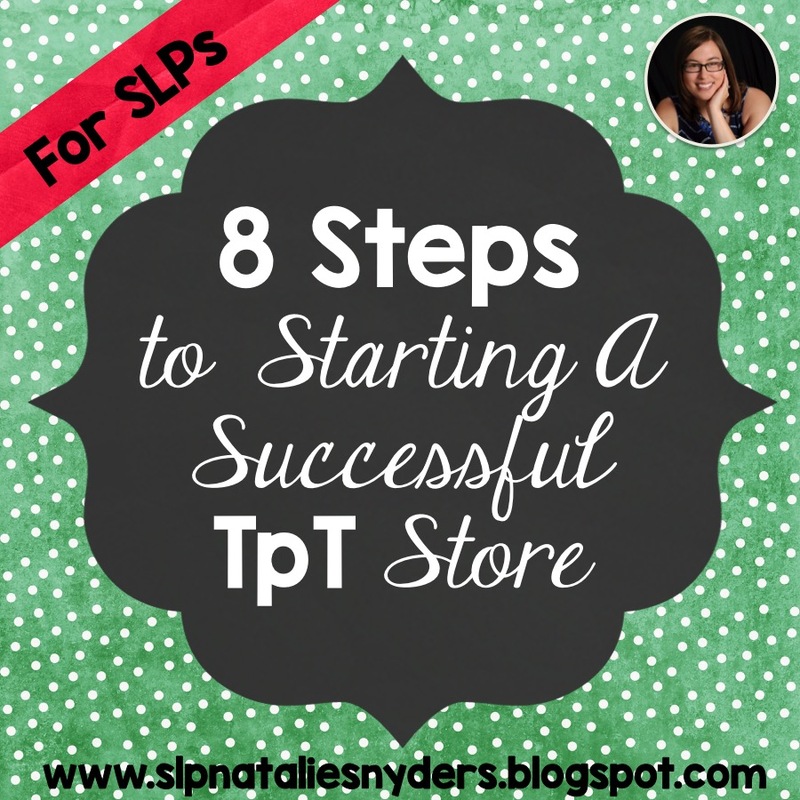 Their terms are very friendly to TpT sellers, and they have search features that are designed for SLPs (such as the ability to search by sounds in the initial/medial/final position of words). Learn how to price your products fairly. Your first product on TpT must be a freebie. Learn about fair guidelines for that here. 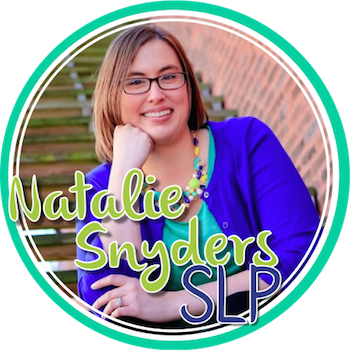 Teach Speech 365 has a great pricing guide specifically for SLPs. Learn and utilize appropriate channels to promote your products. Have your own social media accounts (Pinterest account, business Facebook page, Instagram, etc)? Those are great places to share your products. Find ways to work with other sellers to help promote your items, find out about and join in collaborative events, and ask any questions you may have. 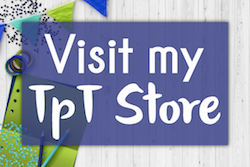 There are seller’s forums on TpT itself (look for a link on the page called “My Dashboard”), collaborative Pinterest boards, and several private Facebook groups for active sellers. Collaboration with others is definitely key to eventual success, whether you are a new or established seller. It can be difficult to learn how to balance a “day” job and family life with creating new materials and using social media. Pick up some tips here. Understand that every product you attempt to make will take WAY more time than you think it will. My shortest freebies took 3 hours to make, and my longest individual products took about 80 hours to create. I hope this has answered some of your questions about how to begin as a Teachers Pay Teachers seller! If you have other questions I can help answer, please leave a comment below. Great tips! Thanks for the shout out! 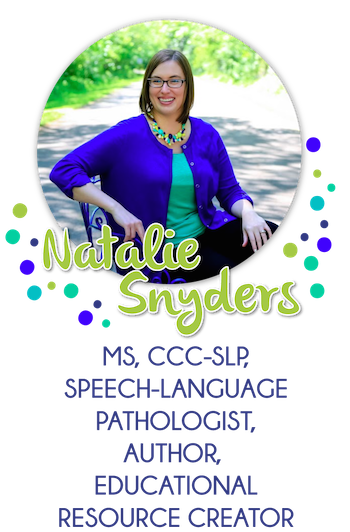 This is awesome information Natalie! Thanks for sharing. Great resource! Thank you for sharing! Natalie you are such a giving person. Thanks so much for sharing all these tips.